The VA pre-discharge program, called Benefits Delivery at Discharge, allows Service members to file claims for disability compensation from 180 to 90 days prior to separation or retirement from active duty or full-time National Guard duty. Claims processing times tend to be much shorter for claims submitted prior to discharge. It is important to submit your disability compensation claim as close to 180 days prior to discharge as possible. This time is needed to complete your medical exam. The in-service exam may increase the ability to establish service connection for your condition(s). To apply, visit the Benefits Delivery at Discharge page. If you are overseas, visit the Overseas Intake Sites page. 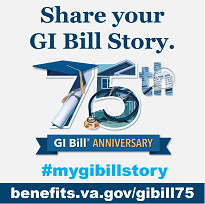 You may also apply for other VA benefits prior to separation from service, such as Vocational Rehabilitation and Employment, Education, and Loan Guaranty benefits. The Integrated Disability Evaluation System (IDES) facilitates the transition process for wounded, ill, and injured Servicemembers who face potential medical discharge from the military. IDES is a collaborative program, administered jointly by VA and Department of Defense (DoD). This coordination between VA and DoD makes the IDES process seamless, simple, fast, and fair. IDES participants have the opportunity to initiate a claim for VA Compensation while still on active duty. They may also be entitled to Vocational Rehabilitation and Employment services. If IDES participants are determined to be unfit for continued military service, they will receive a proposed VA disability rating, along with a projected estimate of benefits that will be awarded upon their military discharge To participate in IDES, Servicemembers must be referred into the program by their respective military service department. If you are referred to IDES, you will be assigned a VA Military Services Coordinator (MSC) who will provide additional information and assist you through the process. If you’re a Service member who has less than 90 days remaining on active duty, the Decision Ready Claim (DRC) Program is the fastest way to get your VA claim processed. You can work with an accredited VSO to file a Pre-Discharge DRC for VA disability compensation. You cannot file a Pre-Discharge DRC if you are enrolled in the IDES Program. To see a full list of exclusions that would remove your Pre-Discharge claim from the DRC Program, go to www.benefits.va.gov/compensation/drc.asp. You can also file your claim prior to discharge under the Fully Developed Claim program, the standard VA claims process, or any other qualifying VA claims program. We encourage you to work with an accredited representative who can assist you with the claims process. Visit our Transition Assistance Program page for additional information, including resources for family and outreach activities for returning Service members. There are numerous printable brochures that provide important information about VA benefits and services. You can also check out our fact sheets for additional benefit information. Visit DoDTAP and MilitaryOneSource for 24/7 access to helpful guides on pre-separation and transition, information on employment, education, relocation, benefits, and more. External Link Disclaimer: This page may contains link(s) that will take you outside of the Department of Veterans Affairs website. VA does not endorse and is not responsible for the content of the linked websites.